33 plus year USPSA shooter moving to open at last. Looking at other holsters and talking to other shooters I went with CR-Speed. So far only a few trips to the range for basic workouts but I love it. Price point and quality are outstanding and service from Double Alpha is Top Shot. I use this holster several years for my CZ Shadow SP-01 with no problems at all! Great holster! Draw time o,56-0,9 sec. Small plate on 30 meter 1,30 sec. Nice holster! Quality materials and easy adjustments. Match a wide range of pistols. For Jericho (941), FN and most of 1911 can be used as is, with mimimum adjustment require. Outstanding Saul and AA team support, and advice, is always highly recommended, and much appreciated. Nice holster. Comes with lots of bits and pieces that are not described in the instructions, so I have no idea what they're for ! Safety lever could do with a stop to keep it in the "Safe" position. Superior Retention & Lightning Fast Draws make this holster a good choice. Supplied with the Versa-Hanger for Maximum adjustment Up-Down and angle on 3 Planes. 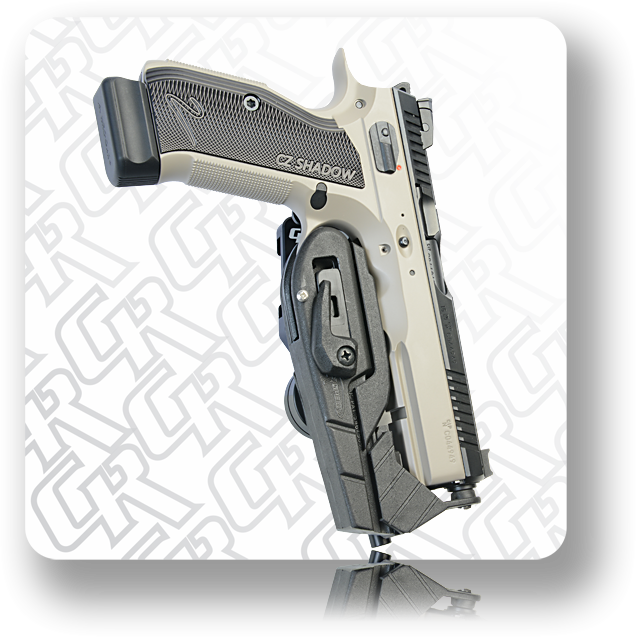 Adjustable trigger slot width, along with a slicker design to allow the Shooter to index the gun Better. Fits most Autos Incl. STI, 1911, CZ etc. if you want this holster for LH, add a comment to your order. 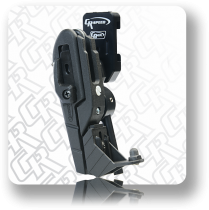 We will modify the holster and set it up for you for LH, as per the instructions from RHT. Note that this does mean that the locking level will be on the inside, not the outside of the holster body! Hello! The holster is good,but it needs some improvements in order to become better. 1- Safety lever : the small screw must be moved to the center, because where it is it bothers the thumb in the process of pushing or pulling the safety lever. 2-It took me a lot of time to smooth the plastic bump under the safety,because at least with the gun I use,(Sig Sauer P226 X-Five) it was difficult to put the gun in or take it out. Thank you very much!